Neff Packaging Systems is a distributor of industrial packaging equipment and specialty packaging materials. For over forty years we have supplied quality products, competitive prices and innovative packaging systems to our customers in the Midwest. Our Kansas City and St. Louis locations position us to serve customers in the central mid-west and various sites throughout the US. Neff Packaging Systems is a family owned business that strives to develop and maintain long-term relationships with our customers and suppliers. Our philosophy is to conduct our business everyday with the utmost integrity. Our mission is providing our customers the products that meet their specific needs along with the highest possible level of customer service. Established regional and national account manager. Developed innovative customer specific programs. Southern Kansas City, KS region including southern Kansas counties. Our factory trained technicians are certified by the manufactures we represent. 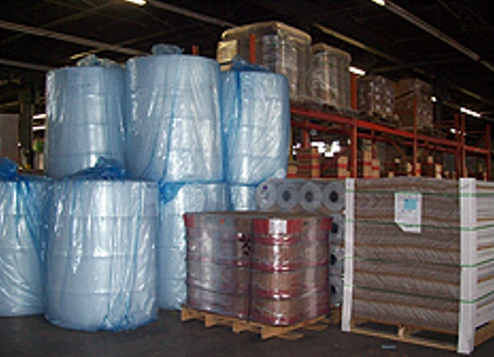 Neff Packaging Systems stocks over 750 sku's of strap, stretch wrap, tape, angleboard, airbags, tools and machines, and a large variety of other packaging materials, supplies and equipment. We have the products and resources to meet your needs. Also check out our equipment listing of new and used machines in our inventory. Are you in need of short term equipment to get you past a surge in production? Is it difficult to secure capital for equipment investments? Let us help you by providing a piece of equipment on a rental or lease program. Prove the value and need of the equipment right in your own facility. Plus, you'll get the technical expertise and support of Neff Packaging Systems for the program duration.